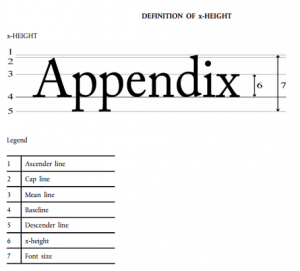 From the 13th December 2014, font sizes for food labelling will have to abide by the new regulations. One major change is the legibility criteria of font sizes for food labelling. This is in response to more and more manufacturers making their labelling illegible by using unfeasibly small fonts. From December 13 2014, the font size for food labelling should have a lowercase ‘x’ at least 1.2mm tall and all text must be sized to that as the minimum. Obviously, all fonts have different sized letters depending on the style of the font. We have tested and found the minimum sized text allowed in the most popular fonts that abide by the new regulations. As you can see, 6.5 point does not work in all cases! To get around these regulations, it is possible someone might create a font with an abnormally large lowercase ‘x’ to allow them to use smaller size fonts and the ‘x’ still be large enough to fit the regulations. However, the legislation is enforced with that in mind so any attempts to circumvent the rules will be pursued by trading standards officers. The UK government has given guidance along the lines that whilst the ‘x’ height must be 1.2mm, all other text must be sized appropriately and proportionally to that. Basically, you will need to ensure your font size for food labelling use is within the regulations. Here at Positive ID Labels, we can produce labels to fit the new regulations with the appropriate nutritional information, allergens, font size and general information. These regulations must be met otherwise it can lead to prosecution. Therefore, buying new labels is a MUST! 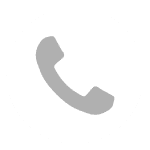 If you would like to discuss your needs, just call us on 01332 864895 or fill in the form below and we will give you a call back.